Barre City is asking Town Meeting Day voters to approve a 1 percent local option tax on rooms, meals and alcohol to help pay for paving roads and replacing sidewalks. Last year the same ballot item lost by 22 votes. "In 2004, 2016 and 2017, the voters of Barre have rejected a local option tax," explains Bill Moore, president of the Central Vermont Chamber of Commerce. "This will be the third consecutive year that it’s back, and we’re hopeful the voters use their good judgment and reject it again." Moore and the chamber have been vocal opponents of local option taxes in Central Vermont. Prior to last year's Town Meeting Day, the chamber fought proposals in Barre City and Montpelier. Montpelier passed the tax, but Barre City did not. Twenty Vermont communities have some form of local option tax, which has been allowed under state law since 2005. The first two times Barre City proposed a charter change to allow the collection of a 1 percent tax, officials asked for a sales tax as well as a tax on lodging and restaurants. Last year, the ballot question dropped the sales tax and focused solely on rooms, meals and alcoholic beverages. Barre Mayor Thom Lauzon says the vote was much closer. Barre City Mayor Thom Lauzon is not running for re-election, and he'd like to see the local option tax passed before he leaves office. Lauzon says the proposal failed in 2016 by around 300 or 400 votes, but in 2017, "we closed the gap to 22." That’s 22 votes out of 1,063 ballots cast. To Lauzon and the City Council, it was close enough to try again. Barre City estimates it will raise $217,000 a year from the tax. Lauzon says it will be used exclusively to pay for street paving and sidewalk replacement. "I don’t think it’s unreasonable to ask people who are visiting our city and people who live here to contribute a very small amount to keep streets and sidewalks in good repair," he says. "So, you know, if you had a $50 tab in a restaurant, that tab would go to $50.50." Lauzon says the alternatives are either raising property taxes or not doing the roadwork. And, he says, property taxes have increased enough, due to some major downtown revitalization projects in recent years. "We’ve really asked people to invest a lot of money in their community – and they’ve really stepped up," he says. "What we’ve realized in the past four years is that, you know, we can’t continue to rely on property taxes to get these ... great projects done." "Frankly, the city needs to do a better job of looking at its budget," Moore says. "Why not call the manager’s team together and tell his department heads, 'find another 1 percent or 2 percent'? That’s not hard to do. In an $11 million budget, it would hardly be noticed." Doug Doenges also wants the city to reduce spending. He’s the owner of Soup n' Greens, in Barre City. 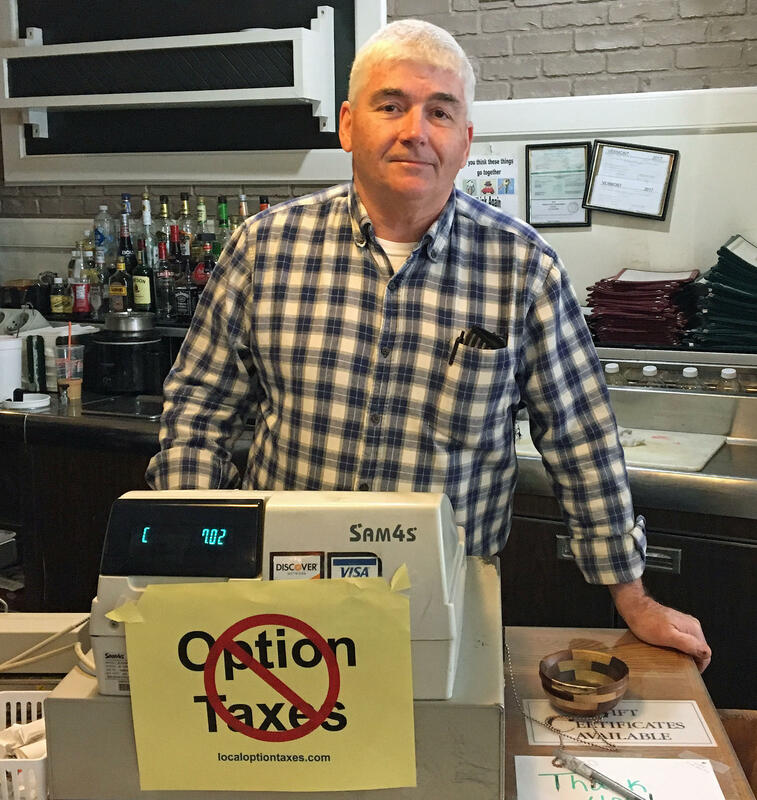 Soup n' Greens owner Doug Doenges makes his opinion on the local option tax proposal known to everyone who comes to his register. "Well, we’re a family-type restaurant," he explains. "We’ve been here for 32 years." Doenges says he sees some out-of-town customers, but he estimates 95 percent of the people he serves are locals. "So, the local option tax, I’m totally against it because it’s going to hurt the local people," he says. "And I think the city has to learn to live within its means, just like the rest of us do. And it’s as simple as that." 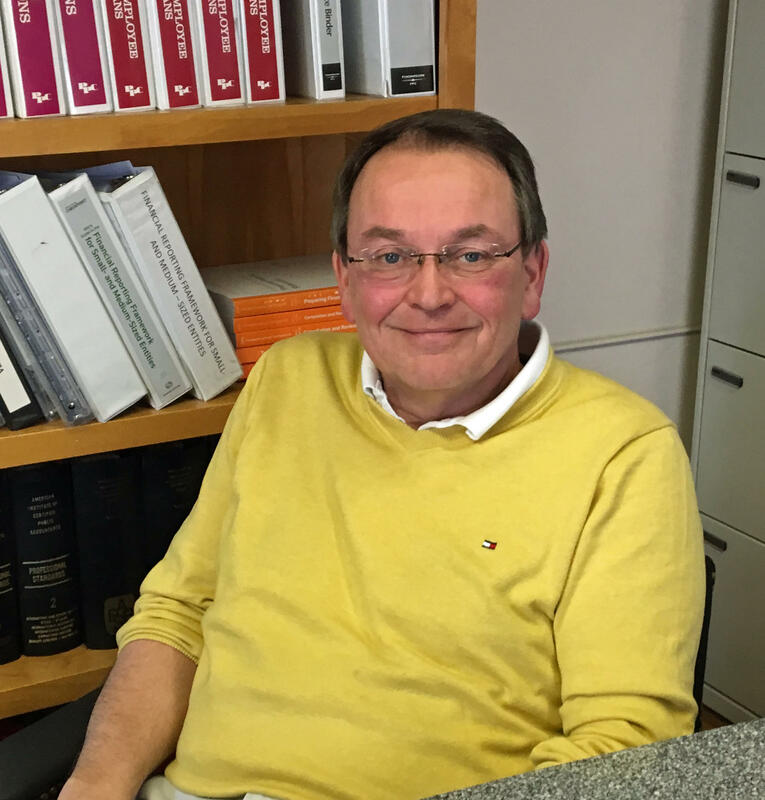 Doenges predicts if Barre does enact the local tax, some of his customers will drive down the road to Berlin or Williamstown, where there is no local tax. But Lauzon says the numbers don't support that concern. "When you look at the municipalities who affected a local options tax," he says, "the data demonstrates that no one experienced a decrease in economic activity because of this." Lauzon points to tax department statistics that show average annual sales have actually risen in Vermont towns with local option taxes — and in Williston and Wilmington, the increase has been in the double-digits.